Twenty private houses were damaged on June 15 as a result of morning shelling of the Ukrainian-controlled town of Maryinka, Donetsk region, by Russia's hybrid military forces, according to the press-secretary of the region's police department, Natalia Shiman. "The shelling of the town began at around 7:00. The police officers have been recording the consequences of the shelling all day. Two completely destroyed houses and 18 partially damaged have been reported as at 20:00," Shiman wrote on Facebook. 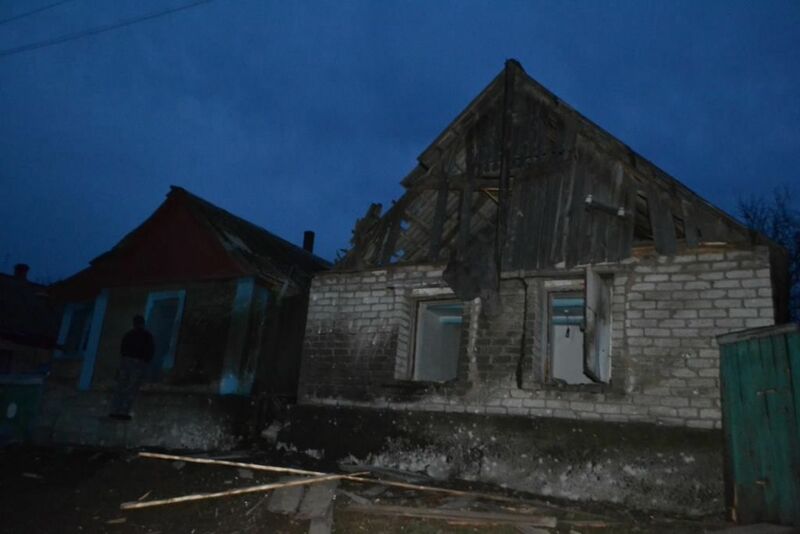 Read alsoFighting erupts near Ukraine's Maryinka, some 40 explosions recordedShe also specified that two families had been left homeless as their house were completely destroyed. According to preliminary data, the Russian-backed militants fired Grad multiple rocket launch systems on Maryinka. The shelling is qualified as a terrorist act.